I had been staring at my office desktop for almost an hour now and each notification had given me countless minor heart attacks. At last when I was about to leave for home, IIFT homepage refreshes and the result notification pops up. With shivering hands, I opened the tab and to my delight, YES I had made it to IIFT. My MBA journey began on the evening of 24th June, 2018 when I landed at Kolkata. I was welcomed with a light drizzle and cool winds. The lush green surrounding, soothing weather and the college campus made me fall in the love with the place at once. The pond at the centre of the campus is a treat to watch at night. Next morning began with an orientation with the excited bunch of new joinees, all suited up and motivated to become the future managers. The first year batch could sense the responsibility and the task that would be laid down upon them in the coming two years. With back to back sessions, the first day at college seemed not to end. 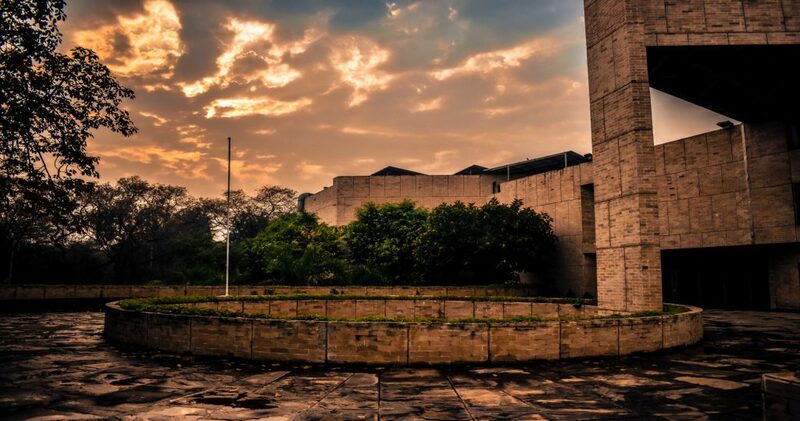 The first week at IIFT was full of surprises, with mixed emotions and an enriching experience. I learnt the importance of sticking to the deadlines and the art of finishing the task at hand under extreme circumstances. The knowledge sharing and guidance from seniors, faculty, alums and the guest lecturers helped me gain a new perspective towards the corporate industry. My peers at IIFT are a group of diverse and extremely talented people who have excelled in their fields of interest. The group assignments, tasks and activities have brought us all together. There is a strong sense of oneness amongst the batch and I am glad to have found a new family here. The time spent at IIFT so far has been extremely enriching and my learning graph has been on a rise since I joined this great institute. I would like to work with Aditya Birla Capital Limited(ABCL) as it is one of the largest financial services player in the country. I have a strong inclination towards finance and I am good with numbers. Having worked for a customer centric financial firm before, I am aware of the expectations of the customers. Like Aditya Birla Group, I too strong believe that a brand should function in a way which the customers not only just trust but also happily endorse. I have successfully cleared CFA Level 1 and would like to apply my knowledge at work. Asset management, private equity, corporate lending are my areas of interest and I believe that I would be a value addition to the company. The job opportunity will provide me with the market exposure and knowledge which will help me in a great career ahead. My values are in line with that of Aditya Birla Group which focuses highly on strong ethics and on customer satisfaction. This is just a start…GO IIFT GO!!! !